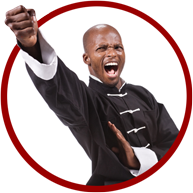 Understand the CLOSE RANGE COMBAT Concepts and Principles of WING CHUN KUNG FU. Our unique training methodology and concise curriculum gets you Fit, Focused and Fearless by guiding you through a linear, step-by-step progression. It is both efficient and effective. The art of Wing Chun was designed by a woman to empower the average person to defend against a bigger, stronger attacker. It can be learned in a short amount of time, and be effective for people of all sizes and ranges of physical ability. 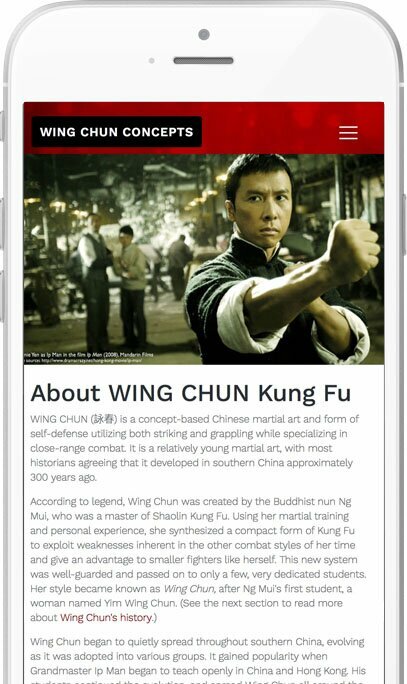 More than just a collection of techniques, Wing Chun is a traditional martial art that encompasses the complete Kung Fu Life. Some of the greatest benefits have nothing to do with fighting or self-defense. The Kung Fu Life is about having the fitness to do whatever you want to do. It is being aware, alert and focused. And it is living fearlessly, confident that you have the ability to defend yourself. Join the WING CHUN family today. You are defending from a position of disadvantage. This may mean you have been assaulted by surprise or ambushed when you are unprepared to defend. Your attacker is bigger and stronger or otherwise has physical advantage. You may be defending with limited mobility, such as in a hallway, elevator or other confined space. You may be defending while standing, while seated, or while on the ground. You may be facing a single attacker or multiple attackers. Wing Chun training is concise but intense. It includes solo forms, drills, equipment training and weapons forms. Optimize your fitness training by adding this Kung Fu mobility and conditioning course. No equipment required. 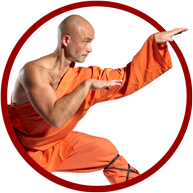 Explore the philosophical and spiritual roots of Wing Chun and Shaolin Kung Fu with this optional add-on course.